Ecuador's charm lies in the white-sand beaches, villages around Amazonian rainforest and majestic Andes. Ecuador is one of the most sought after destination of South America for the travel enthusiasts. Volunteering in Ecuador is a chance to be part of activities developed to mitigate the economic and social problems looming around the marginalized communities of the country. Half of the population is still below poverty line and unemployment is perennial. Contributing your skills and life experiences can be helpful to bring some change in that. 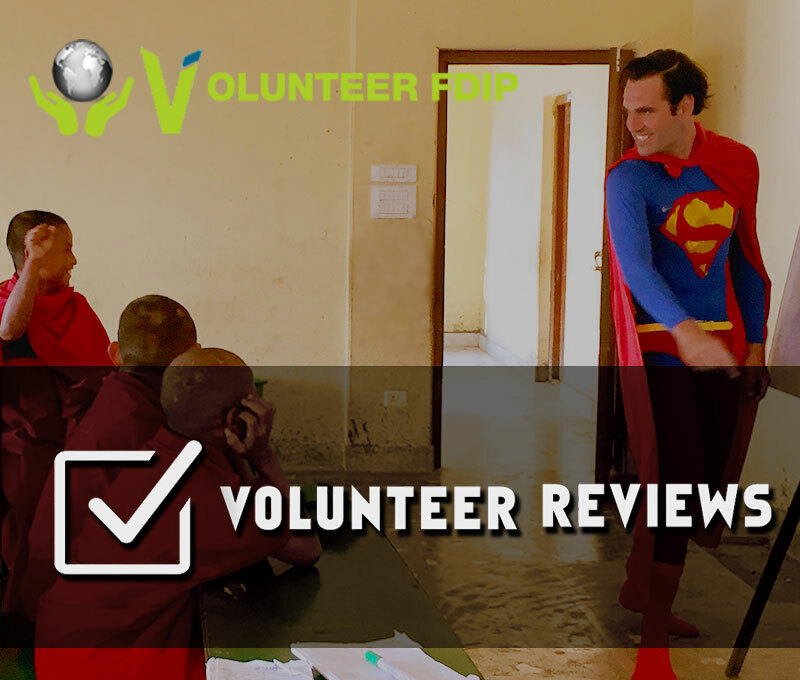 From teaching the kids to working in the Amazonian rainforests, Volunteer FDIP has the wide range of volunteering program in Ecuador, designed for the travel enthusiasts and humanitarian workers. Volunteering in Orphanages in Ecuador is one of the most fulfilling and challenging abroad program. Because of the perpetual poverty in some communities there has been limit in the children’s ability to flourish. Many children are vulnerable as homeless and orphaned. This project is all about love, care and compassion. Being a volunteer in orphanage of Ecuador program, you will assist with the daily care and teaching process of the kids. It's an opportunity to contribute your understandings of the world for the better upbringing of these kids. This project is a concept of connecting the international volunteers with the organic farmers, it will be intercultural exchange experience for both volunteers and the local farmers. Sustainable and organic farming is essential in account of rising climate change and global warming issues. Exchanging the knowledge about organic and sustainable farming can be a best way to transmit this wave of crucial global issue. Erosion in the highland areas and deforestation are major environmental issue in Ecuador. If current rate of deforestation persists, then it is estimated that Amazon forest will be gone in 40 years. Therefore, it is very essential for people around the globe to unite against the deforestation of this elemental biosphere of planet and work to conserve the Cloud Forest. Spanish is the official language of Ecuador, but still English is the most spoken foreign language. Schools in Ecuador have to course of teaching English, as a volunteer in teaching English program; you will be assisting the kids to carry out their classes of English language and grammar. It is also an interesting opportunity to cross learning of languages. While teaching the kids English language you can exchange the learning of Spanish language. Therefore, if you are familiar with English language and looking to learn Spanish, this project can be ideal for you. Work for the welfare of the communities by lending your hands of support in different community development activities like sustainable agriculture, environment awareness campaigns, natural resource management programs, health and sanitation awareness programs and various education based campaigns. The Republic of Ecuador is a country depending on commodities, primarily petroleum and agriculture. The country also suffers from political instability and many social issues on the streets. People of low income are neglected, and children have been abandoned. Thus, there is inconsistency in children’s life and children often suffer from the deficit of proper education, health, home and other facilities. This project is designed to address the needs of such needs who reside in orphanage and childcare houses. The place of volunteering is located at the capital city, Quito. You, as a volunteer, will be serving in one or multiple roles as mentors, guide, teachers, and administrative supporters or in any suitable position where your contribution will be productive one. There is no qualification required for this project, except for ever willingness to serve the children, and act with softness. You must understand the targeted group, their condition and your roles that you will be assigned and maintain child friendly environment. You must agree and abide by the rules and regulations of the organization. Your creativity and skills in music, dance and art can draw their attention towards you and help you in mixing up the environment quickly. Knowing Spanish a little can be sufficient to volunteer. You must be flexible to adjust and easy to adapt. You will be volunteering in Ecuador’s capital city, Quito under this project and be serving the street children. UN defines three types of street children viz. who spend days and nights in the street, who spend only daytime in the street and does not go to any school or institution and who live in the street with the family. As a volunteer to street children working organization, you will be working with all three types of children if you choose the on-site work. If you choose to work inside, you can work with children inside the organization as drop-in center volunteer, psychosocial counsellor, sports volunteer and desk volunteer. You do not need to have any prerequisite qualification to serve in this program. However, your multilingual ability to communicate in Spanish can make your task easy. You must have clear intensity to serve the children as these are children of vulnerable groups, and yourself discourage taking tobacco or drinks to the best as possible. You must accept and be abide by the rules and regulation of the organization.